Credit cards can be a double-edged sword. On the one hand, they can be a very useful financial tool which helps you build your credit score and handle large purchases. On the other hand, they can mean trouble if you are using them to buy things you really have no place buying. 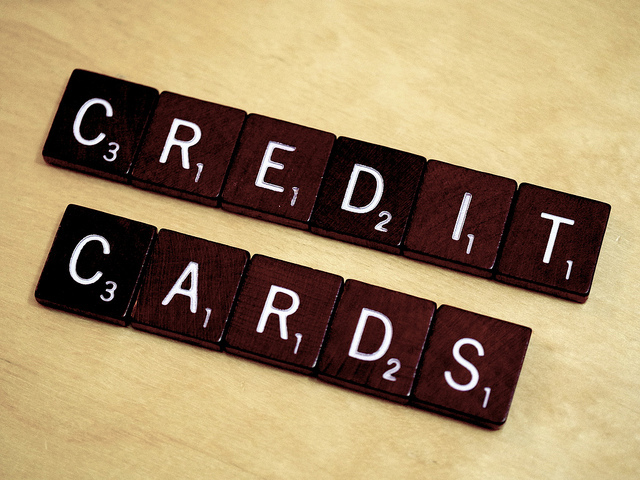 Wise use of credit cards is one of the most important elements of managing your personal finances. Some people avoid credit cards like the plague, and won’t even keep one in their wallet for emergencies. Other people rely on them on a daily basis, and end up wasting money on interest payments. Both approaches have their flaws, with the latter have many more of course. 🙂 If you can land somewhere in between these two extremes, you can use credit cards wisely and often to your benefit like with rewards you can earn such as through the U – where you earn 40,000 miles after making just one purchase in the first 90 days. Build your credit rating. Simply by using your credit card periodically, and paying off the balance each month, you can build credit over time. When it comes time to make a big purchase, such as a car or a house, the credit you built by using your card will come in handy with a nice credit score. In case of emergency. Life is full of surprises, and it helps to have some credit available if you should happen to need it. I would typically defer to having an emergency fund for these instances. I say use both so that way if you can’t get access to the cash that day you can use the card and pay it off that month with money out of your emergency fund. While there are several positives to having a credit card or two at your disposal, there are dangers as well. If you don’t use them in a responsible fashion, credit cards can lead to serious debt if you’re not careful. 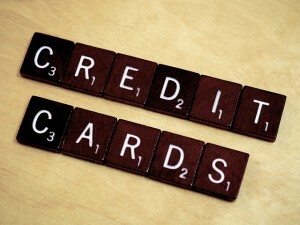 Follow the tips below to steer clear of credit card trouble and stay on a good financial path. Don’t buy stuff you can’t afford. This might sound obvious, but it is a common trap many fall in to. If you wouldn’t spend cash on something, don’t buy it with a credit card. After all, the day will come when you need to spend that cash to pay off your card, so always think twice before charging a large purchase. At the end of the day, wise use of a credit card comes down to common sense. If you don’t buy items that you don’t need or can’t afford, and you pay off your balance each month, you will be in good shape. Follow those rules, and you can enjoy all the benefits that using a credit card has to offer. I think it’s important to remember that even if you can afford it, you should try to always stay below at least 50% of your credit limit. Your credit utilization is a big part of your credit score and just because you have a $1,000 limit, doesn’t mean that you need to have $1,000 on your card at any given moment. Completely agreed Shannon. I think they say utilization should stay under 30% or so. Though, I say, pay that sucker off each month if you can. My favorite tip when it comes to credit cards is to transfer money to savings every time you make a purchase. That way, you earn interest on the daily average amount and when the grace period is about the expire, you’ll have the money to pay your card off! Signing up for big credit card bonuses is pretty awesome like Holly says…but I haven’t been doing that for awhile to avoid dings to my credit. Plus I only use those cards to meet the spend requirements to get the bonus…the main cards I use are the ones I get cash back/points. I think I pretty much get 5% cash back for most of the places I spend money (supermarket, gas station, Amazon). Definitely agreed Andrew. Yea, that makes sense especially with you looking to get into the co-op. I’d be doing the same thing if we were looking to buy in the near future. I’m the same way, we meet the minimum spends and that’s about it. I try to treat credit cards like cash. Pay the balance in full every month and you get an interest free loan from the bank. The cards offer great convenience, and there is no need to carry lots of cash around. The few times I left my wallet somewhere the cash always disappeared, but the credit cards were left alone. I basically view it the same way Kevin. I use what I can afford, within my budget, and don’t go any further. The convenience aspect is a big one for me. The only credit card that I use is the one where I get travel miles for. It makes for a very inexpensive vacation when the flights are paid for. My advice is to never carry a balance on a credit card. Use it to get rewards and for convenience, but if you can’t pay it off when do, you are experiencing lifestyle inflation and you need to address it before a bit of overspend turns into a big problem. It happens, without even noticing it. Completely agreed Deb. Pay that sucker off each month. If you can’t or are tempted to overspend then you shouldn’t be using it at all. I researched a lot before signing up to maximize my sign up bonuses and rewards afterwards. I always pay off my balance each month by tracking my spending so I don’t have to waste money for interests. That’s definitely the way to go about it! I have one credit card and I only use it for certain spending for the high cash back. When I do spend, I make it a point to transfer the money from my checking account to a dedicated savings account so I know I have the money for the bill at the end of the month. That’s a great way to manage it Jon! I would also recommend taking a look through the credit card benefits brochure that comes in the mail with a new card. Credit cards have some really great perks that most people do not take advantage of because they are unaware of them. For example, when you rent a car, and pay the entire balance of the rental on your card – you can opt-out of the insurance at the rental company because the credit card company has insurance for rental cars already! All of my cards have this benefit!